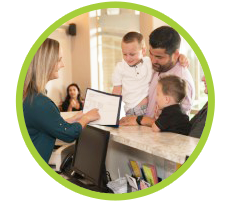 White Rock Chiropractor, South Surrey BC - DesLauriers Chiropractic Group Inc. 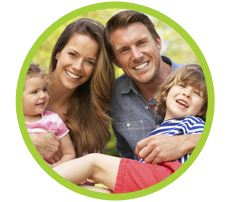 Welcome to DesLauriers Chiropractic Group Inc.
Offering the thorough health care your family needs to live a better lifestyle. We’ll start with a comprehensive visit to determine how best to help you, then create a plan to address your needs. We’re dedicated to creating a healthier world! 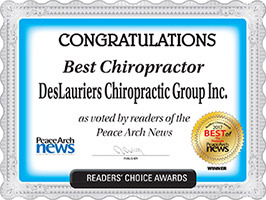 Thank you for voting DesLauriers Chiropractic Group Inc. the “Best Chiropractor” award in South Surrey/White Rock 3 years in a row! Improve Your Health at DesLauriers Chiropractic Group Inc.
We are dedicated to creating a healthier world to live in by our passionate commitment to family-oriented wellness care. Experience, knowledge and a caring environment await your family at DesLauriers Chiropractic Group Inc.. White Rock chiropractors Dr. Kim Greene-DesLauriers and Dr. Pierre DesLauriers have a focus on wellness care for all ages, serving area families in a bright, beautiful, stress-free environment with an excellent team ready to support you. to improve your overall function. your appointment today. 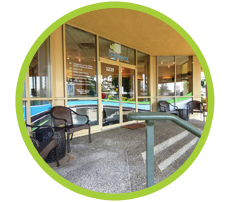 Park for free around our office and relax in our calming, tranquil atmosphere! Nationals is the highest level of competition I have reached so far and to win two medals made the experience so much better. I give so much credit and thanks to DesLauriers Chiropractic Group Inc. for my success because without the treatments I received for my injury, I would not have been able to compete in Montreal. Dr. Kim’s chiropractic adjustments have relieved my pain and stiffness. I now have great mobility in my neck and shoulders. My activities like driving (shoulder checking, etc. ), skiing, Tai Chi, and hiking are now fun again because of the lack of soreness and stiffness. I began seeing Dr. Kim for adjustments and listening to her recommendations for vitamins and supplements to aid and help the cellular repair of my body. After a few months I had noticed a lot less pain in my lower back and my stress level greatly reduced. The best part about coming to Dr. Kim for chiropractic care is that I don’t have to take pills for pain anymore and having more range of movement in my neck has been wonderful! My adjustments have impacted my life by allowing me to sleep much better. I have increased energy, my allergies have eased up and fewer headaches. I can now sit at work for a 12 hour shift and I have confidence to exercise now that I do not have tailbone pain or the left arm, neck and shoulder pain. By having regular adjustments, I have been able to sleep well all night long and I wake up feeling good and not in pain. Chiropractic adjustments have made my life a lot more comfortable which allows me to do all my activities that I used to be able to do before like play hockey, golf and swim. My first visit was comfortable and informative. Dr. Pierre was personable and knowledgeable and I’m looking forward to seeing how he can help me out.